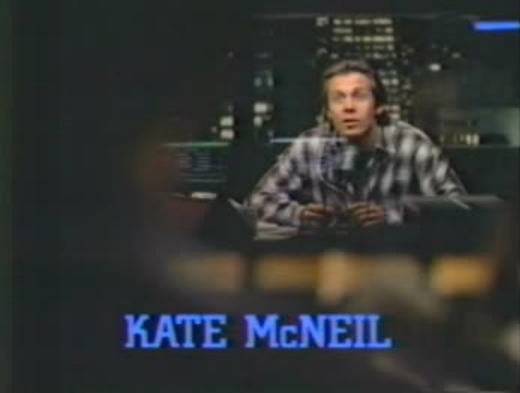 Kate McNeil kicked off a busy 1990 with a guest appearance on the NBC drama Midnight Caller. 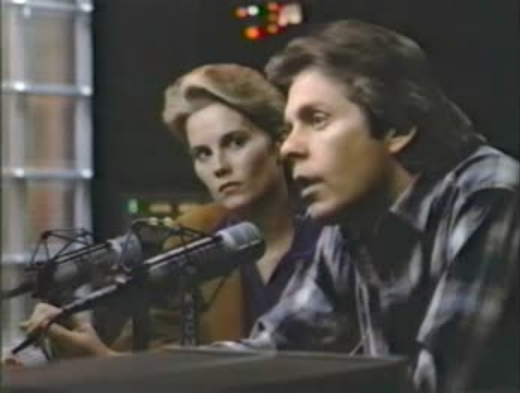 The starred Gary Cole as Jack Killian (aka the Nighthawk), an ex-cop who hosts a night-time radio talk show in San Francisco. 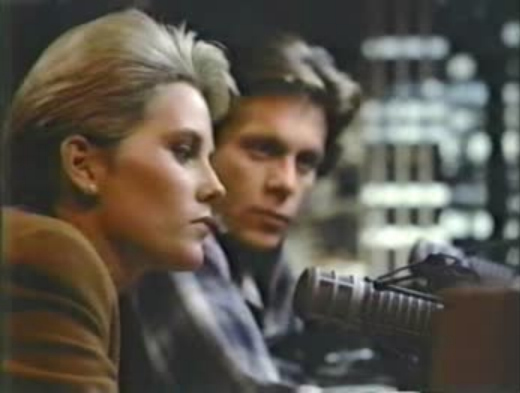 Kate McNeil and Gary Cole had previously co-starred in the TV movie Vital Signs in 1986. 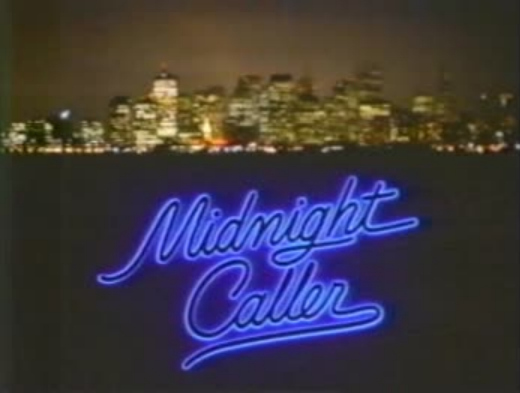 In the Midnight Caller episode entitled 'Planes', Kate McNeil portrays Reverend Summer, who runs a shelter for homeless children. When Jack discovers a boy hiding from the rain outside his house, he soon finds out that the boy has been abandoned by his parents. He quickly takes the boy to Rev. Summer's place, but shortly thereafter the boy runs away and gets involved with a gang of youthful thieves. Jack and Rev. 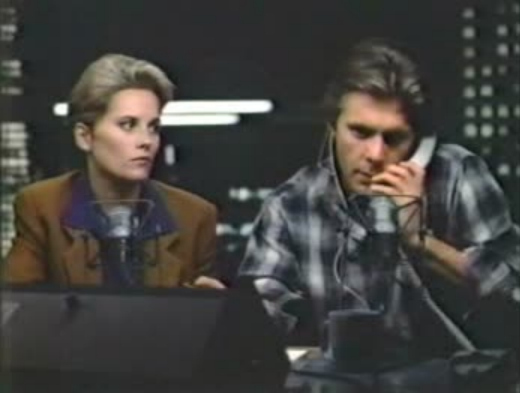 Summer then search for the boy and also take to the airwaves to raise consciousness about abandoned kids. 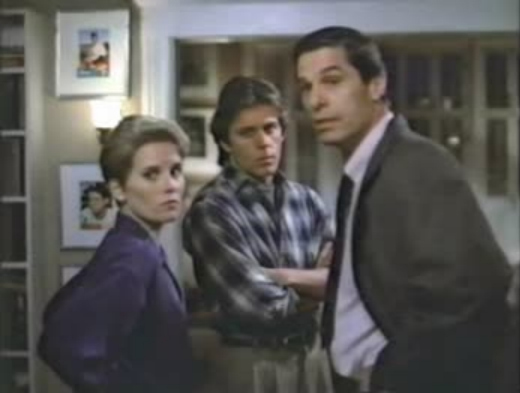 Along the way, Kate McNeil and Gary Cole's character find time to develop a friendly relationship which eventually leads them to a passionate kiss.